Park City, Utah, located about 32 miles from Salt Lake City, is known for its excellent ski resorts and the popular annual Sundance Film Festival. With miles of biking and hiking trails through dense mountain forests, hot springs, and reservoirs, Park City, UT has a lot to offer to outdoors enthusiasts. Here are the best things to do in Park City, Utah. 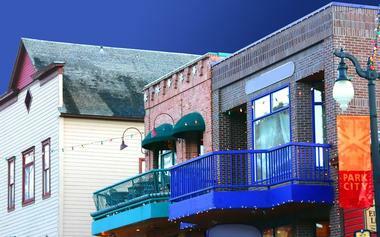 The Park City Main Street Historic District consists of 47 buildings set on 13 acres along Main Street, the business section of Park City, as well as part of Heber Avenue. After a fire in 1898, all the structures were rebuilt in a variety of architectural styles including Queen Anne, Mission/Spanish Revival, and Victorian. 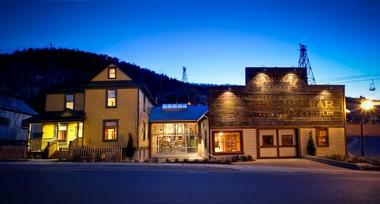 Listed on the U.S. National Register of Historic Places, the district represents one of the best examples of a metal mining town in Utah and is one of the best things to do in Park City. The historic buildings now house more than 100 boutiques, 50 restaurants, and many outdoor adventure tour companies. 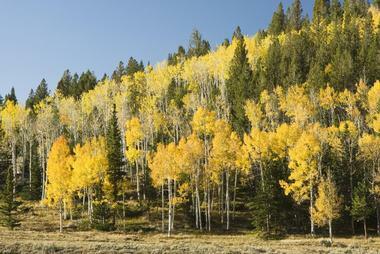 Deer Valley is a ski resort 36 miles (58 kilometers) east of Salt Lake City. Deer Valley served as the site of several events for the 2002 Winter Olympics including freestyle moguls, aerial, and alpine slalom. Opened in 1981, Deer Valley is known for its upscale facilities and amenities. 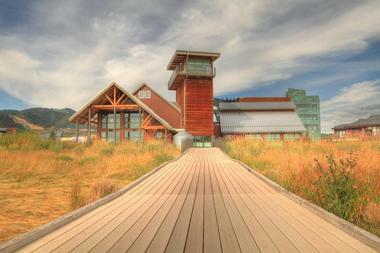 These include boutique shopping, fine dining in the main lodge, free parking shuttles, free ski valets, and much more. In order to avoid overcrowding, Deer Valley limits the number of ticket sales per day, and its uphill lift capacity is over 50% more than those of neighboring resorts. Located on Olympic Parkway, Utah Olympic Park is the winter sports park that was built for the 2002 Winter Olympics. It hosted several events during the Olympics, including the bobsledding, luge, skeleton, ski jumping, and Nordic combined events. Olympic athletes still use the park to train. Facilities include the bobsled track, day lodge, mountain coaster, museums, ziplines, and more. 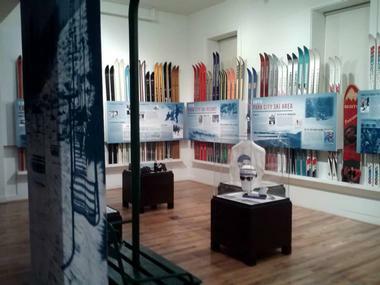 Joe Quinney Winter Sports Center houses two museums including the Alf Engen Ski Museum, which contains memorabilia related to the legendary skier, and the George Eccles Salt Lake 2002 Olympic Winter Games Museum, which contains Olympic medals, athletic equipment used during the games, video clips, and more. Located at Park City Mountain Resort on Lowell Avenue, Alpine Coaster is the largest coaster of its kind in Utah; it is a gravity-driven coaster built on elevated tracks similar to bobsled tracks. Sometimes reaching speeds of up to 30 mph, the coaster car zips thrill-seekers through more than a mile of bends, hair-pin curves, and loops. The rider is able to control the speed of the car by applying brakes. 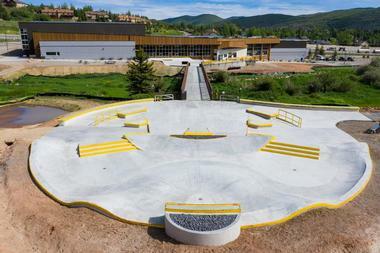 The track is placed in the beautiful mountain scenery of Park City Mountain Resort so riders can enjoy aspens and other local flora as they glide down the mountain. 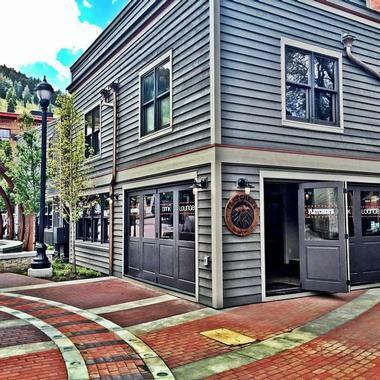 Located on Main Street, the Park City Museum, a local history museum with fascinating artifacts and interactive exhibits, is devoted to preserving and exhibiting the heritage and history of Park City. Some of the permanent exhibits include Mega Mine and the Days of Ore, The Dungeon: Park City’s Territorial Jail, The Great Fire of 1898, Muckers & Millionaires, and many more. The museum offers a variety of tours including guided group tours, historic home tours, and historic walking tours. There are many education programs such as history presentations, Boy Scout and Girl Scout visits, and children’s activities such as Park City History Detectives and scavenger hunts. Swaner Preserve and EcoCenter is a nature preserve in Snyderville Basin near Park City. The preserve consists of a 1,200-acre wildlife refuge, ten miles of trails, the 107-acre Wallin Farm now known as the Farm at Swaner, and a 10,000 square foot education facility. The preserve was established in 1993 after the Spring Creek Angus Ranch donated 190 acres; this donation was made in memory of former ranch owner Leland Swaner after whom the center is named. In 2010 Utah State University, acquired the center, and in 2011 the center began holding classes as part of Utah State University Distance Education. Red Pine Adventures offers snowmobile adventures during the winter and opportunities to explore the magnificent Utah mountain ranges on horseback during the summer. 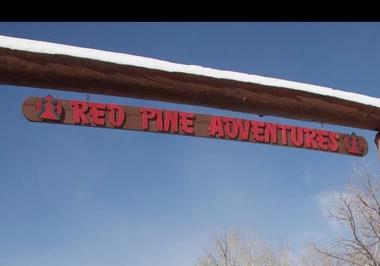 The adventures are conducted on the Red Pine’s own property in the Red Pine Canyon in Park City on thousands of acres of private, secluded mountainous land. 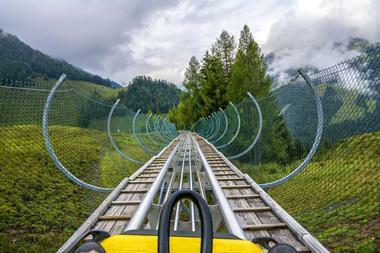 During the winter, guides will lead you on one or two-person ski-doos on a roller coaster. 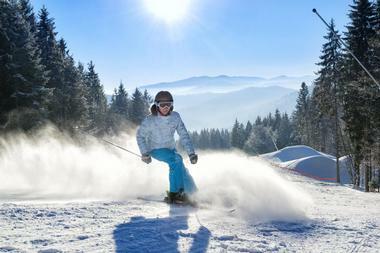 You’ll pass up and down along groomed trails and pass through the alpine meadows and dense forest. The tours last about two hours and will leave you feeling ecstatic and fulfilled. During the summer, explore the alpine lakes, wildflower-covered meadows, rugged cliffs, and spectacular mountain views on horseback. These tours last about an hour and half. 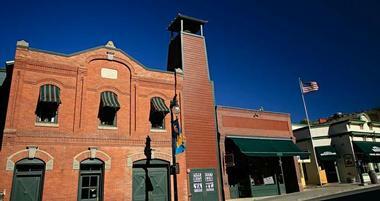 The Egyptian Theatre is a historic theater located on Main Street in Park City. Constructed between 1922 and 1926, the style of the architecture was influenced by the discovery of King Tut’s tomb in 1922, and the theatre was decorated with Egyptian motifs like hieroglyphics, lotus leaves, and scarabs. Originally built for vaudeville acts, it was mostly used as a movie house. In 1963, the name of the theater changed to the Silver Wheel Theatre. After a major renovation in 1998, the theater opened its doors again as the Egyptian Theatre. 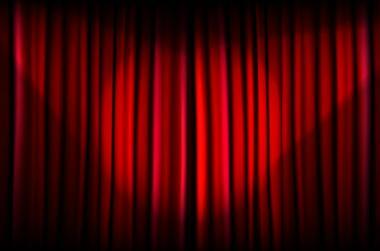 Also known as the Mary J. Steiner Egyptian Theatre and as the Egyptian Theatre in Park City, it is now a venue for comedy acts, films andspecial events. Exclusive Excursions serves as your guide to the Park City’s spectacular nature, and it caters to one group at the time. All the excursions are private and customized. Guests decide what they want to do, and the company takes care of the rest. You can go kayaking, white water rafting or tubing on the Provo River, hiking or biking along the easy trails or, for the more adventurous, through the Uintah Mountains. Exclusive Excursions also organizes other types of trips, from visiting Robert Redford’s Sundance Resort to stopping by the casinos in Wendover in Nevada. The excursions can last from a couple of hours to a whole day. 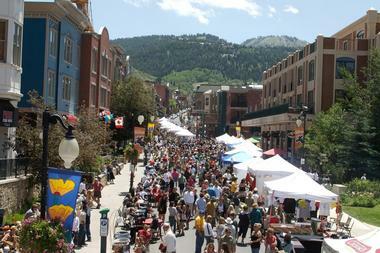 The Park Silly Sunday Market is an open-air market, street festival, and community gathering place where friends and neighbors can hang out together to celebrate and enjoy their city and where tourists can learn more about Park City than they expected. The main elements of the Market include non-profit organizations, sustainable issue groups, performers, musicians, kids activities, artists, chefs, and zero waste efforts programs. The market is open every Sunday from June to September. In 2014, 118 farmers, 124 musicians, 14 artists, 7 chefs and 63 kids’ activities made up the market. There were also 80 sustainable issues groups and non-profit Ooganizations. Park City Mountain Resort is a ski resort that opened in 1963 as Treasure Mountain. 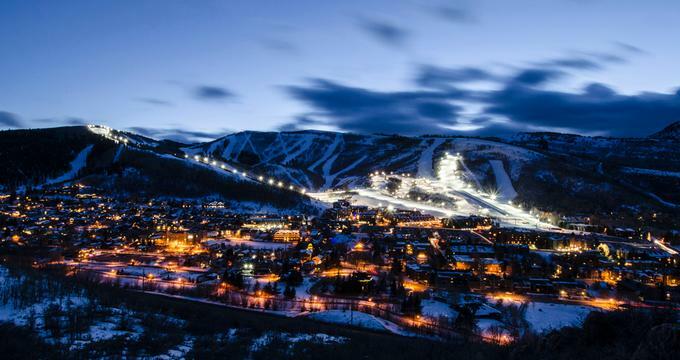 Renamed as Park City Mountain Resort in 1996, it is a popular resort with skiers from all over the world and serves as the training course for slalom and giant slalom runs for the U.S. Ski Team. During the 2002 Winter Olympics, the resort also hosted the men’s and women’s alpine giant slalom events as well as the snowboarding events. When Vail Resorts bought Park City Mountain Resorts and connected it by gondola with neighboring Canyons Resort, they created the largest ski area in the U.S.
Utah Outdoor Adventures is an all-season tour company that offers half and full day private guided tours that include hotel pick up, gear, food, and water. Hiking trips lead guests to beautiful landscapes in the Park City area, and you will have an opportunity to admire forests, meadows, and other scenic habitats with their natural wildlife. Snowshoeing tours take place on the mountain ranges close to the city: these tours are appropriate for beginners as well as for advanced snowshoers. 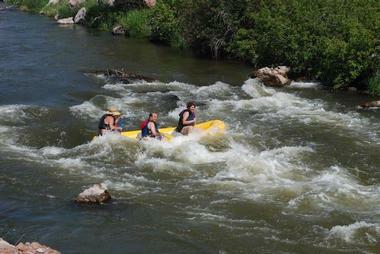 The company also offers white water rafting trips on Weber River. These privately guided trips are conducted in small boats with a limited number of guests. 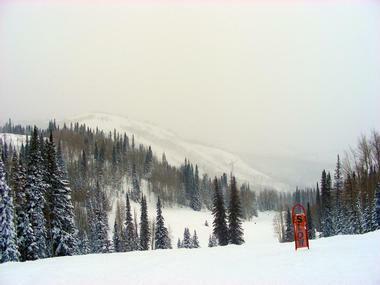 Gorgoza Park is a winter activities attraction located on Kilby Road in Park City. It offers snow tubing on its seven lighted tubing lanes, four of which are advanced lanes and three of which are beginner lanes. Tubers are taken to the top of the hill by lift and are supplied with inner tubes. The park also has Fort Frosty, a play area for children aged eight and younger. Here, there are several activities for children including a carousel, mini snowmobiles, mini tubing, and more. 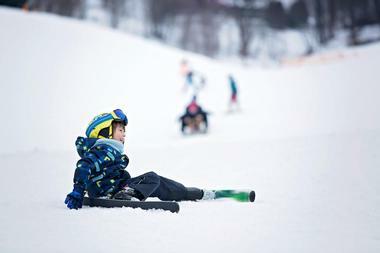 The other facilities at the park include a learn-to-ski area, a rentals area, a warming yurt, and Cafe Yurt, which sells snacks and beverages. It is part of Utah State Route 190, also known as the Big Cottonwood Canyon Scenic Byway, which runs east and west through Salt Lake County. After passing through Brighton, Guardsman Pass Scenic Backway becomes a narrow mountain road on its way to Park City. There are beautiful fields of wildflowers, forests of aspens, red mountain maples, and evergreen trees, and views of high mountain peaks. Passenger cars are able to make the trip on the dirt and gravel mountain road. Fletcher's restaurant, lounge and bar is refined and cozy at the same time. It’s the perfect place for either a drink after work or for celebrating a wedding anniversary with the love of your life. The décor is beautiful and tasteful, while the food is fresh, healthy, and imaginative. Chef Scott Boberek is particular about his ingredients, so the beef is grass-fed and the chicken is organic. There are small plates for sharing and big plates for indulging. You can even use their sides as a full meal, because they really are that good. Order a fabulous appetizer like the bacon jam with cheddar chives biscuits to savor before choosing your main dish. And wait until you get to the dessert. Canyons Village is the former Canyons Resort base area, and it is located on Canyons Resort Drive about four miles from Park City’s historic Main Street. Sitting at an elevation of 6,800 feet, the village is home to a variety of convenient and upscale accommodation choices as well as fine dining restaurants and luxury boutiques and shops. Some of the shops include Canyons Kids, Canyons Mountain Rentals, Canyons Mountain Sports, The North Face, One Sweet Ride, Smartwool, and many more. Winter activities include skiing and snowshoeing, while summer activities include biking, hiking, and golfing at Canyons Golf, a recently opened 18-hole golf course. 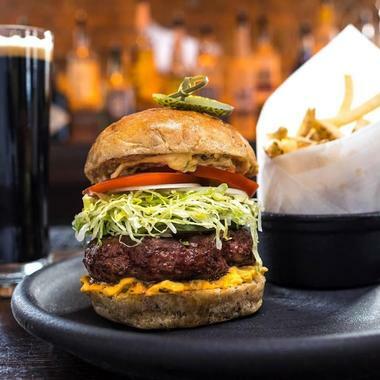 When you are in the city like Park City, which has so many spectacular restaurants, it is only natural that a historic tour inevitably evolves into a history and food tour. For about three hours, guests stroll through the city’s Main Street with the local storytellers and learn about what makes the city tick. You will learn how the city turned from mining to dining, hear stories about its most notorious characters and most interesting buildings, and visit some of the best and most popular restaurants. 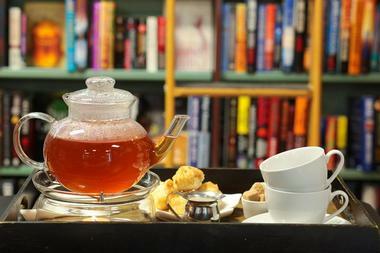 More Utah destinations: 25 Best Things to Do in Salt Lake City. Unless you are staying at the St. Regis Hotel, going for dinner at the hotel restaurant J&G Grill is going to require a funicular. Take an exciting ride up the mountain and enjoy a fabulous gourmet dinner at this upscale establishment. The experience starts with the décor: the expansive walls are covered in stacked quartz stone, you’ll see enormous walnut beams on the ceiling, and admire the double-sided fireplace and spectacular views of the snow-covered ski slopes and tall pines. The food is modern, focusing on high quality grilled meats and fish. If you get a front row seat at the open kitchen, you can watch all the magic happen. The restaurant serves wines from the hotel’s 13,000-bottle collection. 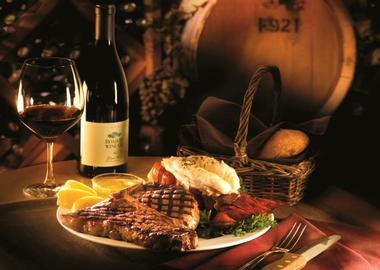 Grub Steak is a popular Park City restaurant that has been providing residents and tourists with succulent grilled meats since 1976. It is spacious and rustic, with classic Cowboy paraphernalia and beautiful old photos on the walls. It is a great place for a drink or a meal before or after hitting the slopes. Nothing beats getting cozy next to the fireplace with one of their specialty house cocktails while waiting for your perfectly grilled grass-fed steak or fresh fish. Their salad bar is legendary, and their wine list has been carefully compiled to feature selections that complement particular meals – they even offer suggestions on the menu. The best times to come are Friday and Saturday nights to enjoy live music. Located in the heart of Park City on historic Main Street in Park City, Tupelo is a modern, spacious restaurant with industrial-chic décor, exposed bricks, and pipes on the high ceiling. Raw wood and charming bistro tables soften the industrial elements, creating a lively and comfortable atmosphere as the background to Chef Matt Harris’ inspired cuisine. His modern American fare is influenced by his international travels, and he uses fresh, seasonal, local ingredients to produce exceptional, beautifully presented dishes. Favorites like the Maine crab fritters are served with pepper slices, sweet and sour pickle, and hot sauce, while the braised veal cheeks are served with parsnip puree and the marble potatoes are mixed with a rich bone marrow butter. The wine list is exciting and extensive and the cocktails are imaginative, ensuring that dining at Tupelo will be a memorable experience. A jaffle is a sort of hot pocket with two pieces of bread stuffed with savory or sweet filling and grilled in a special “jaffle iron.” It looks like a fat disk, and it is easy to hold and eat. The jaffle is very popular in South Africa, where the name comes from, but Aussies claim that they have it too. Why not? The idea is great. 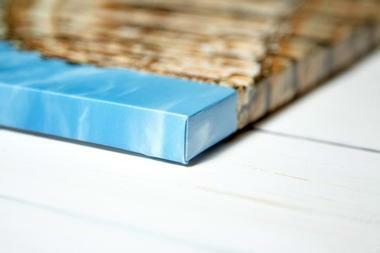 There is no limit to what you can put in the filling, And at Jafflz, they really have some great ideas. You can get anything from Sky High Apple Pie to Braised Short Ribs. The Café is quaint, modern, colorful, and rather small, and since the jaffles are so portable, most people just grab them and go. 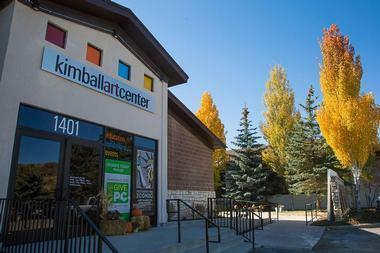 Kimball Art Center is a visual arts center located on Park Avenue in Park City. 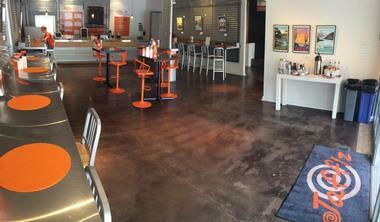 Founded in 1976 by Bill Kimball, the center started in a garage and was refurbished in 2001. The center displays works by local up-and-coming artists as well as national exhibits related to history. The museum is known for hosting the annual Park City Kimball Arts Festival, the longest running visual arts festival in Utah. It also offers a variety of education outreach programs, which include art classes for all age groups from preschoolers to adults, Kimball Clay Studio classes, Young Artists’ Academy, and more. The museum also hosts many events such as Art Talks and Gallery Stroll. Located in a nicely restored 1914 Victorian house, High West Distillery is the only distillery in the world where you can almost literally ski in – the building is at the bottom of the Quittin’ Time ski run. It is a fun, rustic place where you can see the original copper pot still that is still functional and learn about the distilling process that produces the wonderful amber liquid in your glass. They make a large range of whiskies and vodkas, and you can try them at the Saloon or have some fun cocktails based on their products. They also serve great food, and their dishes consist mostly small plates of what they call nouveau Western fare. Understandably, many dishes feature whisky in the marinade, sauce, or dressing. Ask servers to recommend what whisky goes best with certain dishes, and do not forget to stop by their store to get a bottle or two for later. Atticus Coffee, Books and Teahouse is a popular, fun, and quirky shop on Main Street in Park City, Utah, where people stop by for a cup of coffee and end up spending hours exploring hidden nooks and crannies with 11,000 used and new books, blown glass sculptures, murals, and other artwork. Comfortable sofas and armchairs invite lingering over one of their great coffee drinks, hot teas, or what they call ‘frosts.” You can also get wraps, salads, sandwiches, home-made scones, lemon curd, or an H&H Bagel sandwich. All their food is made fresh from high-quality ingredients, and they offer breakfast and lunch. You can buy books and just sit and read them, or bring your own books to sell for credit in the store. Boulder Mountain Ranch at Deer Valley is an outdoor adventure company that provides several activities. 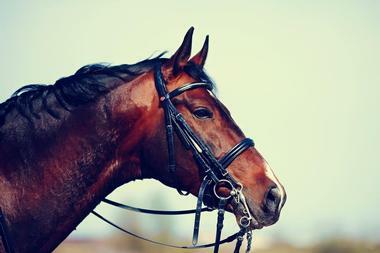 The ranch offers horseback riding tours at two locations including Sundance Resort and Deer Valley Resort. Tours depart from the company’s Deer Valley Stables at Deer Valley Ski Resort and travel through the magnificent scenery of alpine meadows and aspen and pine groves near the Wasatch Mountains. An experienced professional guides the two-hour horseback, which includes lunch. The ranch also offers cantor and gallop rides, chuck wagon hayrides, and horse drawn stagecoach rides, as well as winter time horse drawn sleigh rides. You may also like: 25 Most Beautiful Places to Visit in Utah. The Historic Union Pacific Rail Trail is a nearly 30 mile long recreational trail that follows abandoned train tracks near Park City. Managed by the Mountain Trails Foundation, it is a historic multi-use trail for biking, cross-country skiing, hiking, horseback riding, and walking. The trail stretches from the Wasatch Mountains near Park City through Silver Canyon’s meadows and the towns of Coalville and Wanship, along the Weber River, and finally ends at Echo Reservoir. 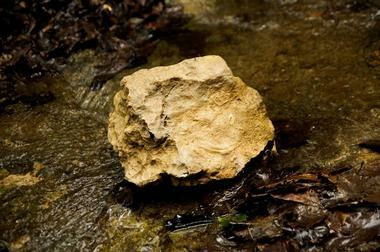 Covering 450 acres, the elevation of the trail varies between 5,280 feet (1,610 meters) and 6,900 feet (2,100 meters). The narrow gauge railway was built in 1871 to supply coal to Salt Lake City.